Micropore, Inc. has developed a revolutionary reactive plastic for use in adsorbent applications. ExtendAir Reactive Plastic Cartridges (RPCs) are designed for rebreathing and life support equipment, replacing the granular CO2 scrubbers currently used. This patented technology dramatically improves duration and ease-of-use, while eliminating many of the problems associated with granular adsorbents. Of all the many benefi cial features of RPCs, the one that is most exciting is the factory-molded airfl ow channels. This eliminates both channeling problems and performance variability inherent in granular systems. An RPC&apos;s mean duration is repeatable to +/- 5% within two standard deviations, while granular performance is no better than +/- 30%. 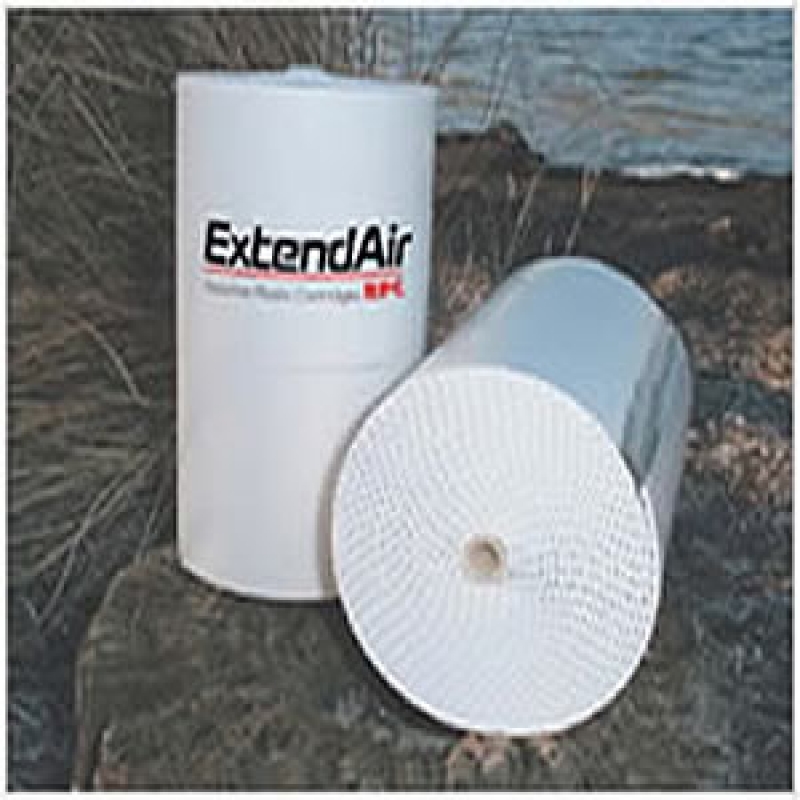 Because granular adsorbent scrubbers are typically oversized to account for this largeperformance variation, ExtendAir RPC scrubbers will have the lightest weight and smallest size, or the longest duration possible for a given scrubber volume. HOW much better? At a minimum, duration is improved 25% due to a higher density of adsorbent alone. As the use conditions become more extreme (higher work rates, lower temperatures, higher pressures), the performance advantages are even greater. This graph shows the increase in duration (at 32°F and 150 ft. depth) compared to granules at various breathing rates.